The outdoor scenery is a major draw for this home. Peterson Mill is a historic and cozy home. Dine with a scenic view. Water features lend a sense of calm. The bedroom has a queen bed. It also has a small TV. 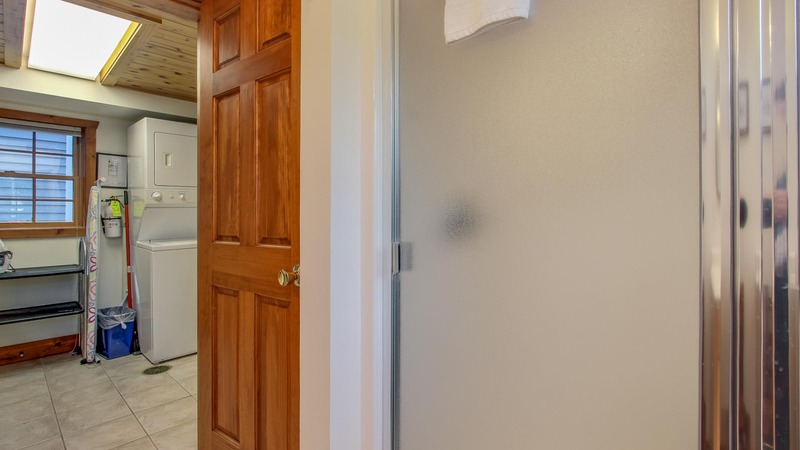 Wood paneling warms up the walls. 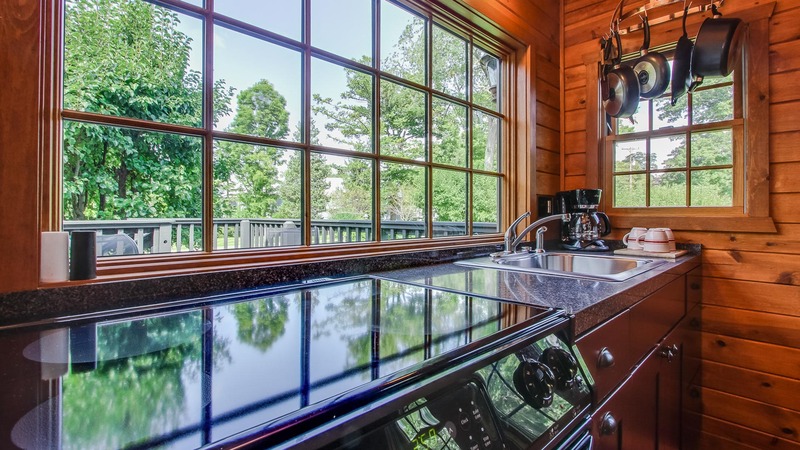 A beautiful spot to prepare food and wash dishes. The kitchen has an electric range. The sofa converts to a queen bed. Watch movies on the flat screen TV. Walk the boardwalk to take in the water features. Peterson Mill is a gorgeous property. Laundry units on the ground level. 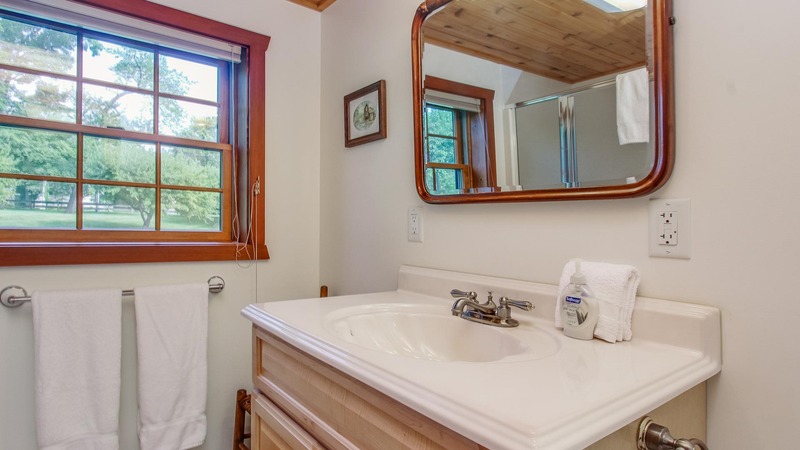 A full bathroom is on the ground floor as well. 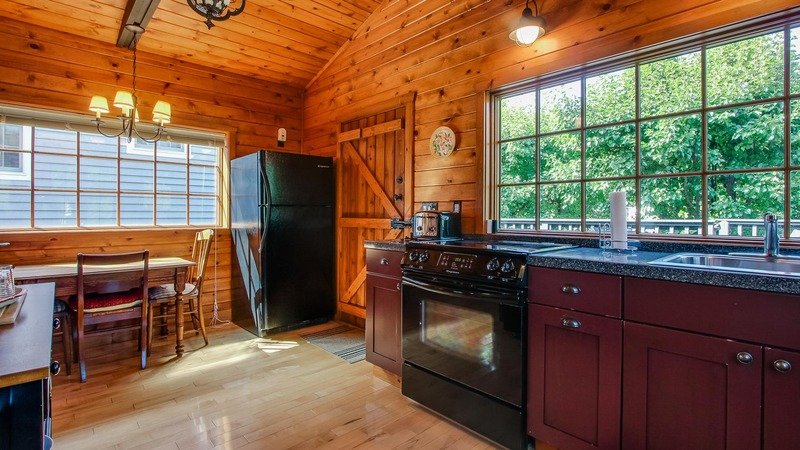 Couples looking for a cottage with an exceptional amount of charm will find Peterson Mill exceeding their expectations. 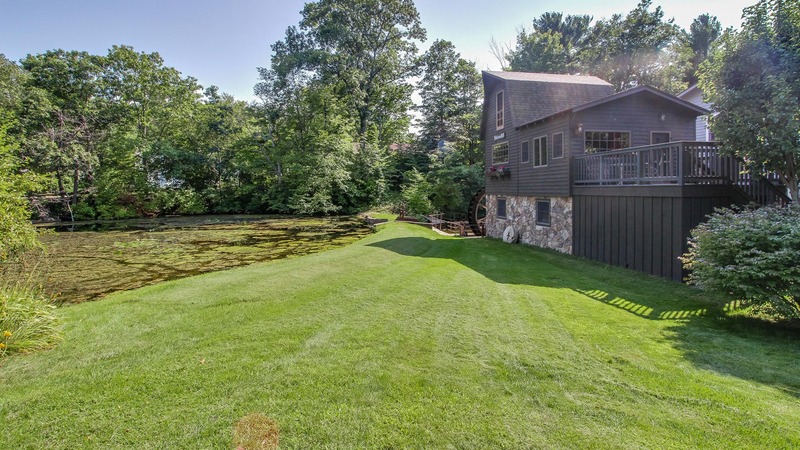 Conveniently located close to the attractions of downtown Saugatuck, the mill also offers a sense of peace and tranquility with its surrounding water features and views of the Kalamazoo River. Inside, the mill is completely remodeled and decorated with a nod to its history. 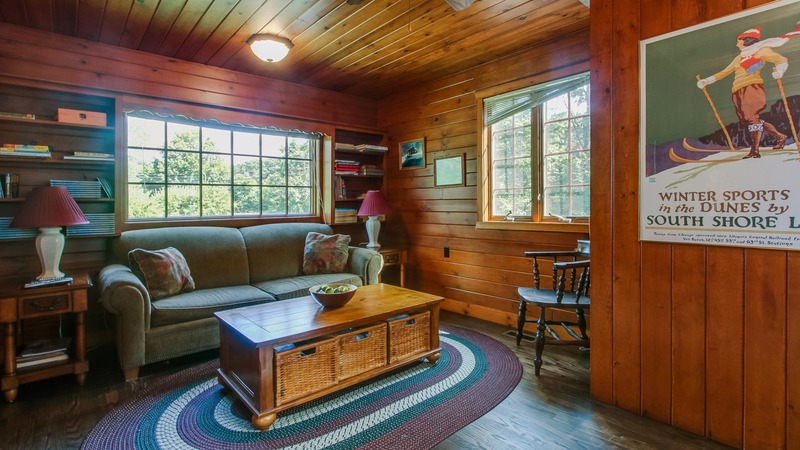 Warm decor and wood-paneled walls lend to the cozy feel in this cottage. 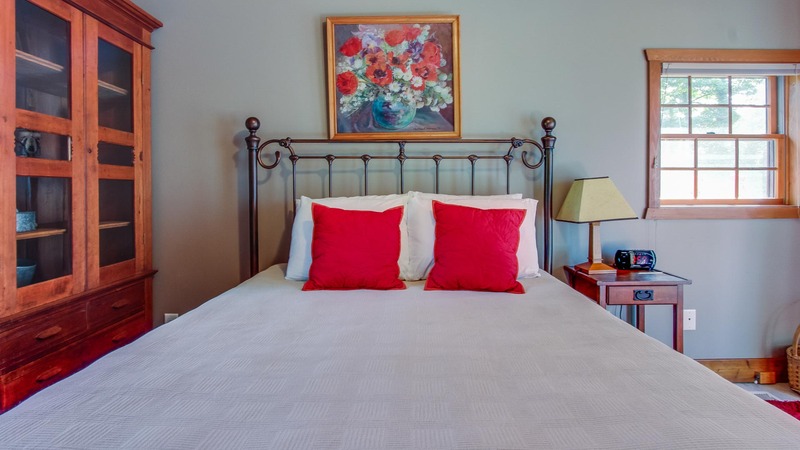 On the ground floor, find the home's only bedroom, offering a queen bed and television. 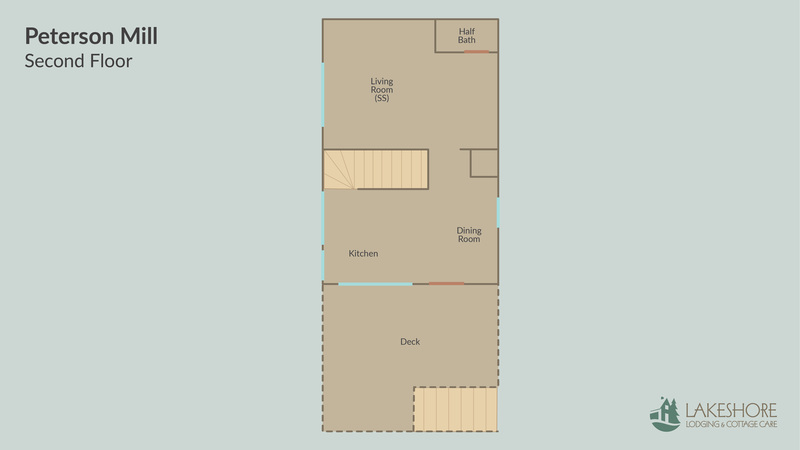 Access a ground-level patio through sliding doors in the bedroom. There is also a full bathroom on that floor. Ascend the home's narrow staircase to access the kitchen, dining, and living areas. 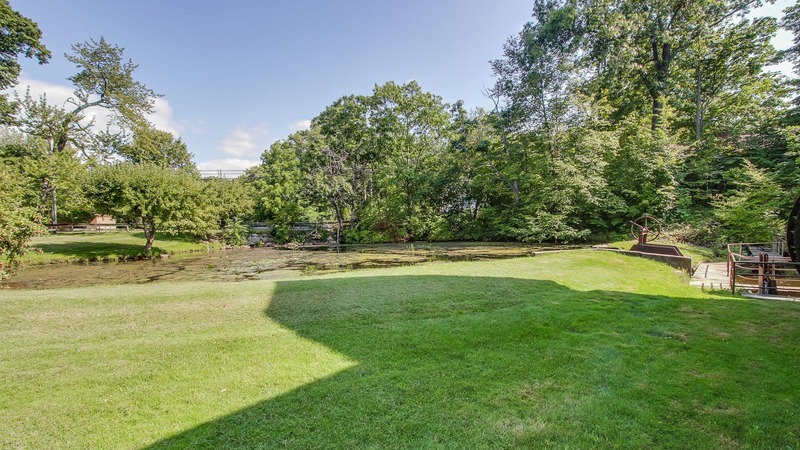 Natural light and views of the water features pour in through the many windows on this level. 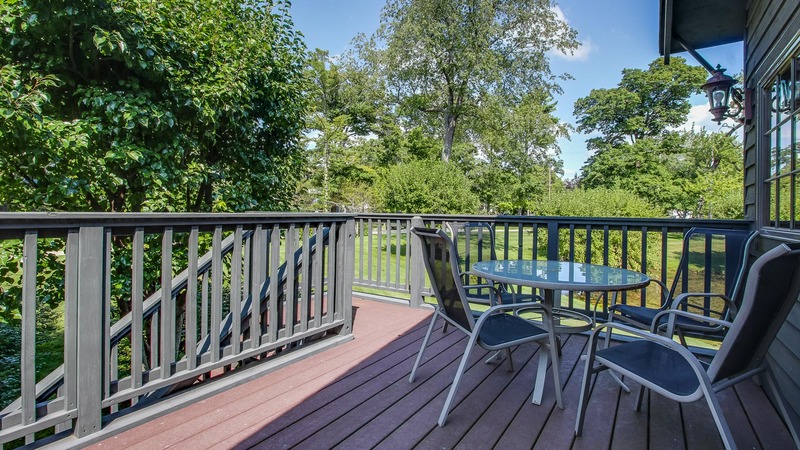 Enjoy morning coffee with a view of the ducks from the raised deck. The living room offers a sleeper sofa and a television. 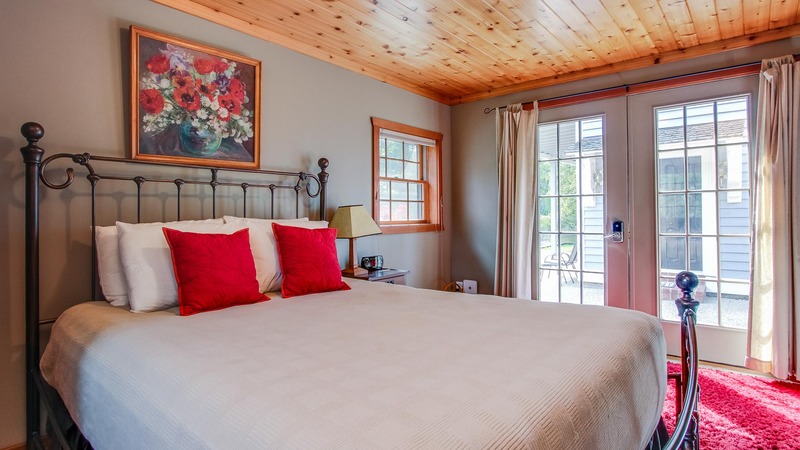 Guests sleeping there can access a private half bathroom attached to the living room. Walk five minutes and find yourself in downtown Saugatuck. Hop in the car for a short drive to Oval or Douglas Beach.